Following your arrival in Delhi transfer to the hotel. A full day sightseeing tour of Delhi. Visit Red Fort, Jama Masjid, Birla Mandir, Laxmi Narayan Temple, Humayun's tomb, Qutab Minar and the India Gate. Morning drive to Agra. Visit Taj Mahal and Agra Fort. This morning, drive to Ranthambore Tiger Sanctuary. Following dinner there will be a slideshow and an orientation talk about the park. Early morning and afternoon optional jungle safari into Ranthambore National Park. 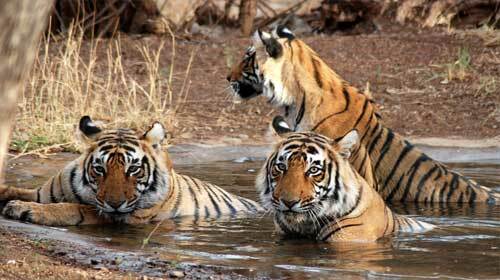 Also visit the Ranthambore Fort. Morning drive to Amber Fort by car followed by visit to the Museums, Palaces and halls within the City Palace and Hawa Mahal. After breakfast drive to Delhi, arrive in approx 05 hours & transfer to airport for onward flight.